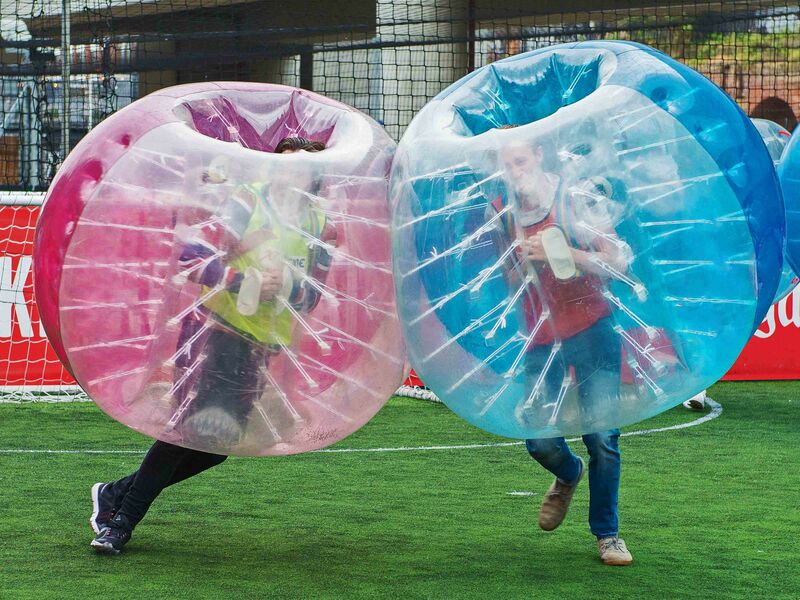 The Dublin zorb football stag do is a guaranteed day of hilarious fun that’ll leave you with a bigger smile than Ronaldinho’s! Best of all it’s held in Dublin, one of the greatest stag do cities a groom could ask for! Dublin is a beautiful city where the old and new world combine to make a city with a truly unique look and feel you won’t find anywhere else. Oh, and it’s also got an amazing nightlife scene! 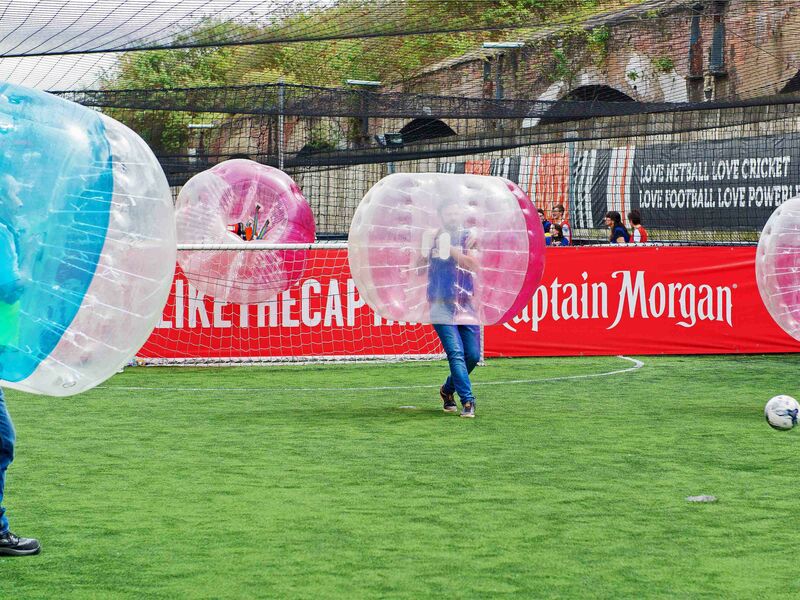 You’ll begin your game of Dublin stag do bubble football with a straigh­tforward game of 5-a-side footy. Except for the fact you’re wrapped in a giant bubble that is. 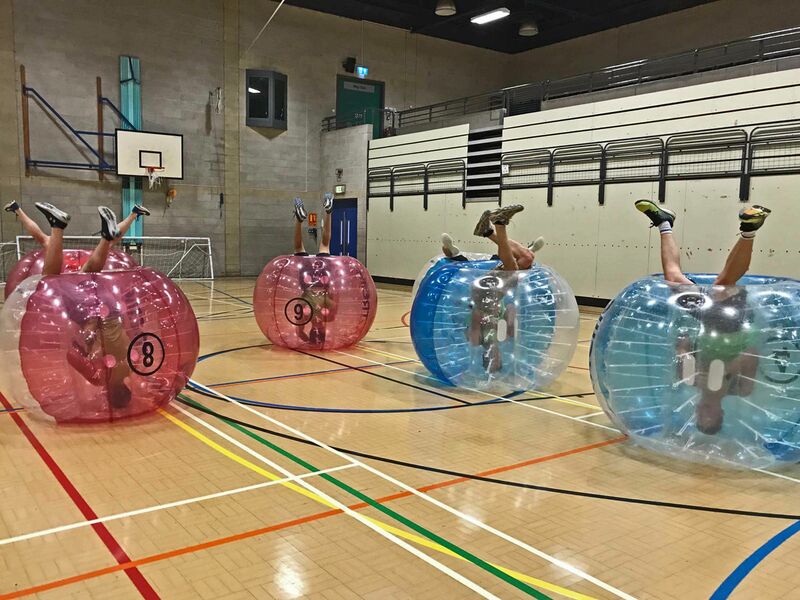 Things get chaotic pretty quickly as you crash into one another and send each other bouncing and rolling across the pitch. It gets even crazier when games like Bulldog and Last Man Standing are introduced. 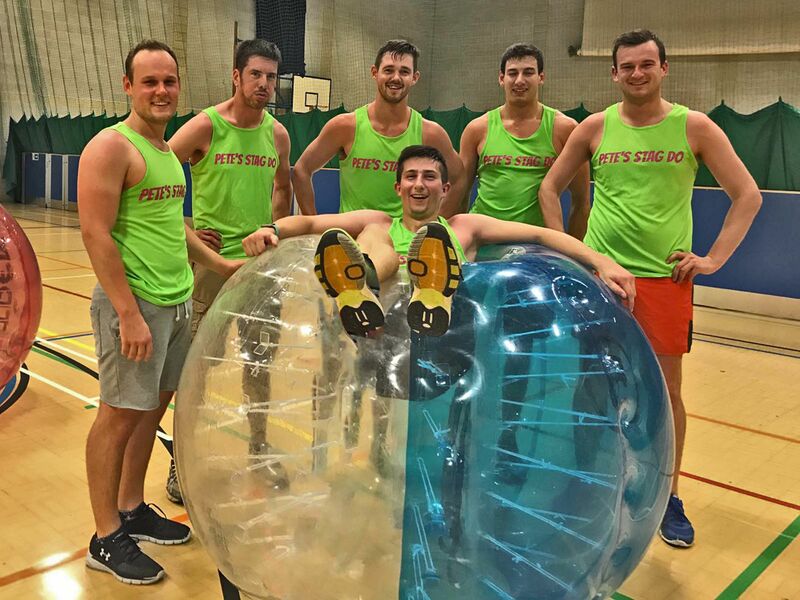 Dublin stag do bubble football arenas tend be located in city centres so chances are you’ll be in a venue that’s only a few minutes’ walk away to all the awesome bars, restaurants, clubs and pubs (Dublin, hell, Ireland does pubs very well). Many centres have changing rooms on site that’ll save you a trip back to the hotel when you’re getting ready for the buzzing night ahead. If you’re lucky there might even be a mini-bar for you and your friends to enjoy a few pre-drinks in before you head out to see what Dublin has to offer. 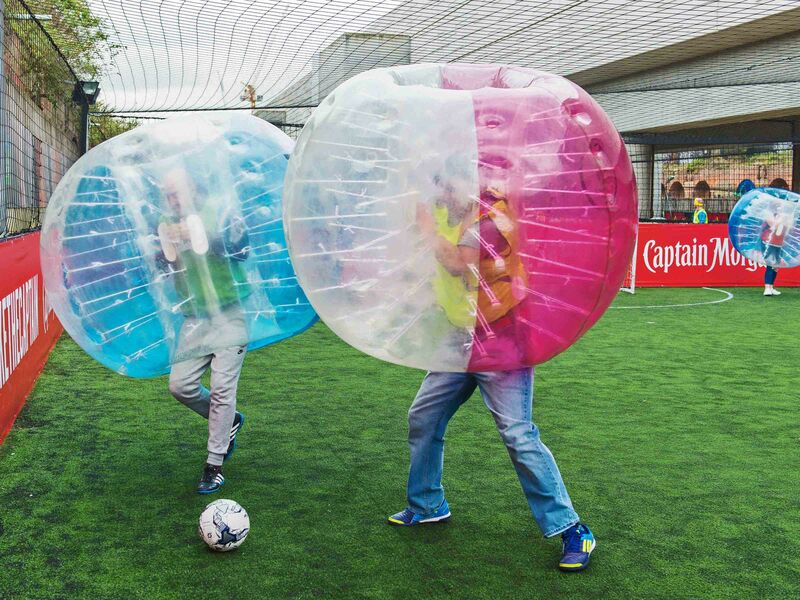 One things for sure, a Dublin zorb football stag do will leave you feeling like you’ve got the luck of the Irish, and exploring the city of Dublin is a fantastic and memorable experience that everyone should do at least once in their lifetime. Booking with Funktion is incredibly easy; all you need to do is fill in a short and simple enquiry form and we’ll get back to you in no time at all. You’re then well on your way to having an incredible Irish stag do experience.